Preheat oven to 350 degrees F (177 degrees C) and place the oven rack in the center of the oven. Crush the biscuits in a mixing bowl. Add in the butter and the sugar. Mix until everything is well combined and crumbly. Add the crumbs to the base of a spring form pan. 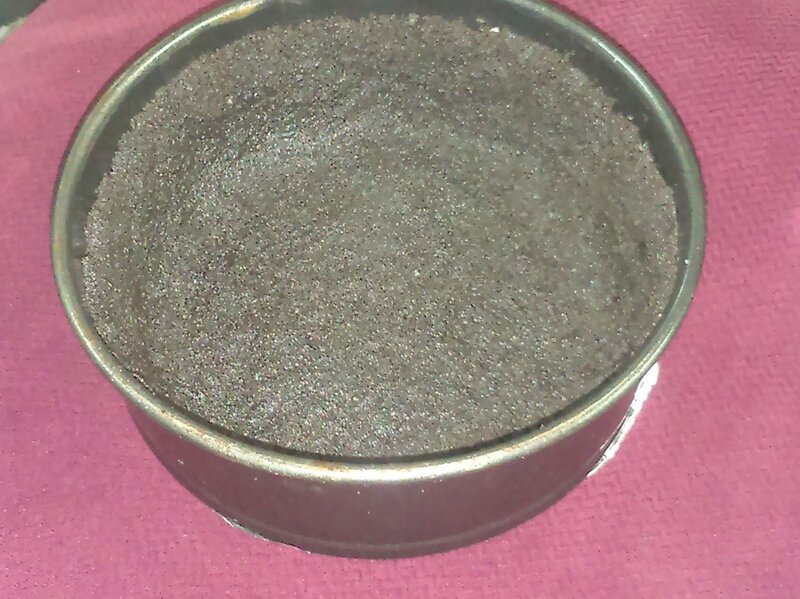 Press the crumbs evenly over the bottom and about 1 inch (2.5 cm) up the sides of the springform pan. Using a spoon or glass, press it down until it’s smooth, flat, and uniformed. Place in the fridge until required (20 minutes). Beat the cream cheese, sugar, vanilla and flour. Beat on medium speed until smooth (about 2 minutes). Add the eggs, one at a time, beating well (about 30 seconds) after each addition. Now gently add sour cream with cream cheese mixture. Pour this mixture over biscuit base. Chop chocolate and place in a heatproof bowl over a saucepan of simmering water (make sure the bowl doesn’t touch the water) and stir until melted and smooth. In a bowl, add melted chocolate with milk and mix well. Pour chocolate mixture over the cheese filling in several separate spots (not evenly). Swirl with tip of knife or skewer to create a marbled effect. 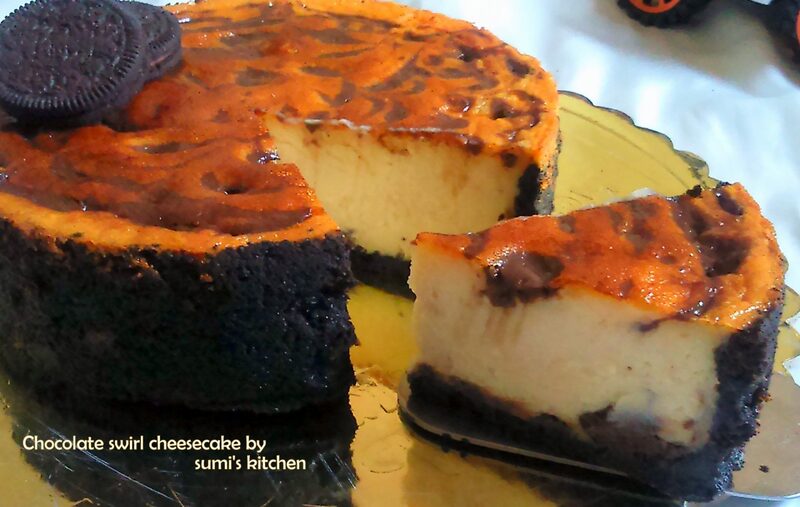 Place the cheesecake pan on a larger baking pan (to catch any drips) and place in the oven. 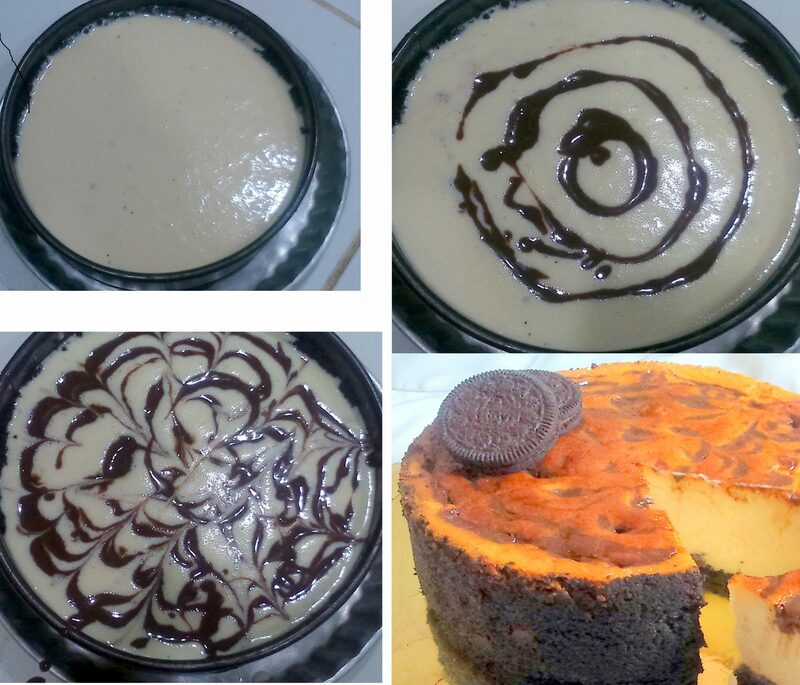 Bake for 40 minutes at 170 degree c.
Turn off the oven but leave the cheesecake in the oven to cool. Before removing from pan, refrigerate it at least eight hours or overnight.